Today is the 12th World Day Against the Death Penalty. Across the world, 1,000 people continue to be executed each year for a drug offence, as 33 countries retain the death penalty for drug offences – including 13 where the death sentence is mandatory (2012 data from Harm Reduction International). This is a clear violation of international law, which imposes strict guidance on the use of the death penalty. Article 6(2) of the International Covenant on Civil and Political Rights calls on states to only use capital punishment for the “most serious crimes”. 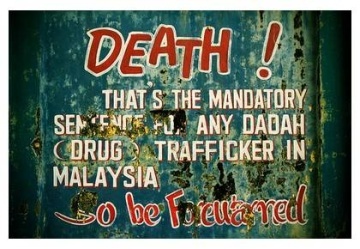 Numerous renowned international legal experts have argued that the trafficking of drugs does not fall into this category. Nevertheless, the use of the death penalty for drug offences sits within an international drug control system that assumes that repression and tough law enforcement would deter people from getting involved in the drug market. If this deterrence principle was correct, the countries with the most repressive drug laws would surely have the lowest rates of drug use. Evidence, however, does show that the rates of drug use are fairly unrelated to the nature of the legal framework, as the countries with the toughest drug policies do not have lower levels of drug consumption than countries with more lenient approaches (read more). What is clear, however, is that those people who are caught in the net of these harsh drug laws are overwhelmingly poor, vulnerable and almost never are the ‘king pins’ of the drug trade. Those facing the death penalty are often low-level, non-violent ‘drug mules’, caught up in the drug trade out of economic necessity or coercion and usually standing to gain very little financially. 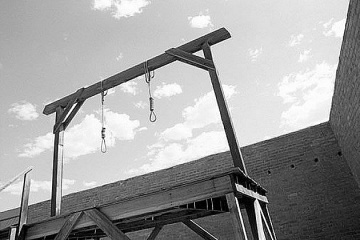 Over the years, international NGOs have strongly pushed for governments to abolish capital punishment. For example, earlier this year, Harm Reduction International, Reprieve and the World Coalition Against the Death Penalty called on the United Nations to freeze drug enforcement aid to Vietnam as there was no guarantee that such aid did not contribute to human rights abuses and in particular the use of the death penalty for drug offences. Today, Vietnam has over 700 people on death row and many of these are on drugs charges. Internationally, the UN agencies in charge of drug control have been reluctant to condemn the practice. The International Narcotics Control Board (INCB) has been particularly keen not to engage in the issue, despite years of civil society pressure on the INCB to take a stance on capital punishment. But there is room for hope. In early March 2014, at the launch of the 2013 INCB Annual Report in London, INCB former President Raymond Yans finally called on UN member states to “consider the abolishing of the death penalty for drug-related offences” (see official press release). This was reiterated at the 2014 Commission on Narcotic Drugs meeting, where member states engaged in a fraught debate on the issue with abolitionist states pushing hard for a CND position calling for the end of the death penalty – only to meet with firm resistance from countries like China and Iran, that retain its use (see final report of the CND and the CND Blog for more details). The global community is meeting in 2016 at a UN General Assembly Special Session on drugs. Ending the use of the death penalty for drug offences will once again be on the table alongside the many other issues where the international drug control system is out of step with the principles of human rights, proportionality, public health, sustainable livelihoods.